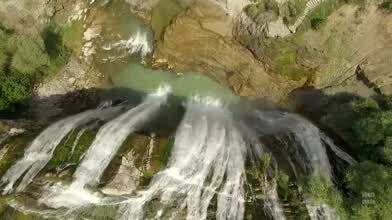 Contributor Skaty created this amazing drone video of Turkey's largest waterfall. Tortum Waterfall is located in the northeastern corner of the country, in its Black Sea region. A massive hydroelectric project completed in 1960 drastically reduced the flow of water over the falls, such that it's dry much of the year. The falls and the lakes which surround it are popular sightseeing destinations in this part of the country. Description: Tortum Waterfall from Turkey.